In Brazil, real GDP increase by 1.1% in 2017 compared with a contraction of 3.5 % in 2016. The U.S. dollar was appreciated by 2% against the Brazilian real and the Bovespa Index increased by 27 %. 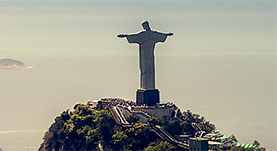 Brazil is the world’s seventh largest economy in terms of Gross Domestic Product (GDP) and the fourth largest democracy by population but it is ranked only 95th in the world for gross national income per capita. But doing business in Brazil requires intimate knowledge of the local environment. The Brazilian economy is large and diverse by almost any standard. The Global Competitiveness Index rank Brazil on place 57 on a ranking scale out of 144 for the period of 2014-2015. Brazil scores well in domestic market size index and the financial market development like the regulation of securities exchanges. Brazil has undergone several programs of privatization of state-owned companies, with the biggest taking place when the state-owned telecommunication companies were sold in 1998. Prices of Brazilian commodities such as oil, iron ore and soya have slumped: a Brazilian commodities index compiled by Credit Suisse, a bank, has fallen by 41% since its peak in 2011. Brazil is rich in natural resources and has some of the largest iron ore deposits in the world. Rio de Janeiro is centre for the growing oil and petroleum industry. Brazil is self-sufficient in oil and more and more oil fields are being discovered. Unfortunately there is the Petrobras affair called The petrolão (“big oily”) in Brazil. Today Brazil has undergone a complete reversal of fortune. Brazilian technology, music, fashion, art, cuisine and more. But one problem is that Brazil is relying on exports of raw primary goods rather than moving up the value chain with exports of more sophisticated products. From a list of 15 factors, respondents were asked to select the five most problematic for doing business in their country and to rank them between1 (most problematic) and 5. 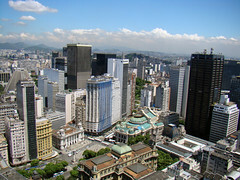 A pressrelease 8th of June 2011 from Independent Credit View gives thumbs up for Brazilian banks.With a substantial capital surplus the Brazilian banks Banco do Brasil and Bradesco are on top of the leader board ahead of UBS. You also have caixa (caixa economica federal), Itau Unibanco which is Latin Americas largest bank. BNDES (The Brazilian Development Bank) carry out national economic development policies. BTG Puctual is Latin America’s largest standalone investment bank.